It began simple enough. 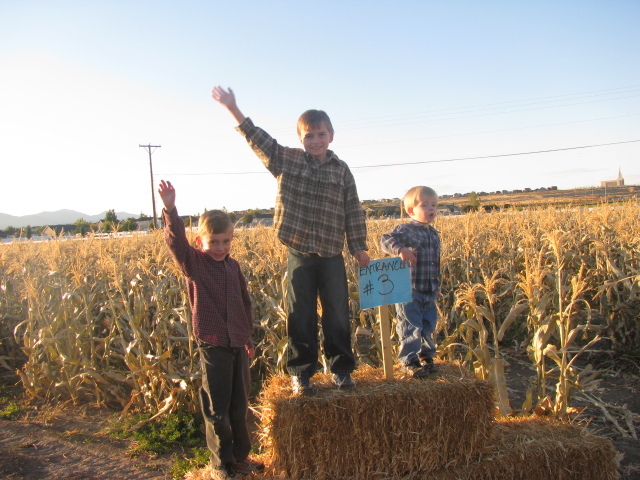 A corn maze, cute boys, and a camera. They posed for one snap shot. And then they were running. "Let's pretend we're on a nature show and mom's the camera man!" 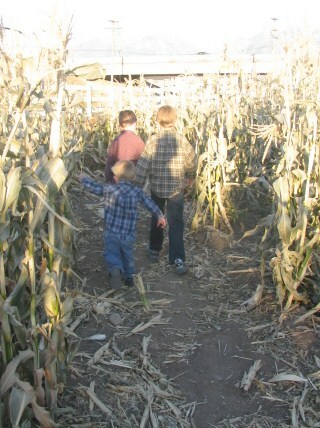 They ran in and out of the corn maze fueled by testosterone and milk duds. And in the end they survived the wild! I'm always worried I will be stuck in those things for hours, but it would be worth it going with your cute boys. 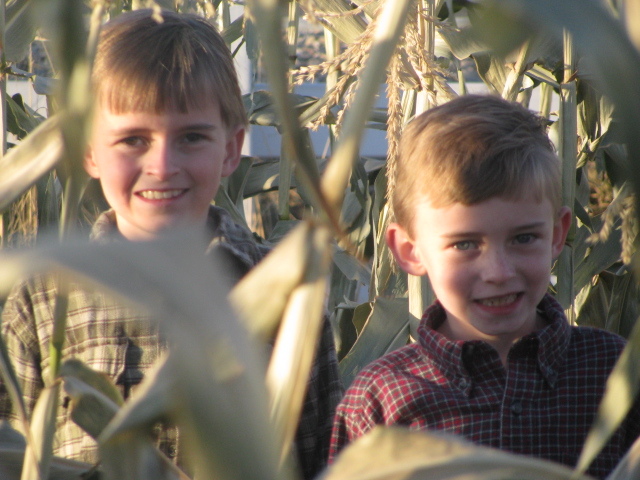 You should do a remake of The Children of the Corn.